Shortstop Alex Gonzalez has passed his physical and been officially signed to a one-year contract. The deal was first reported last week by FOXSports.com’s Ken Rosenthal. A 40-man roster move was necessitated by the addition of Gonzalez. As I surmised at the time, RHP Fautino De Los Santos was the victim. De Los Santos was claimed off of waivers by the San Diego Padres. De Los Santos was received by the Brewers as compensation in the deal last summer than sent catcher George Kottaras to the Oakland Athletics. Susan Slusser of the San Francisco Chronicle exclusively (her word, not that I doubt her) was told about the return for Kottaras. “The A’s have made a move to acquire Milwaukee backup catcher George Kottaras, two major-league sources confirmed, but the deal has not been announced. According to multiple sources, the Brewers will receive right-handed reliever Fautino De Los Santos, who had a 4.21 ERA in 40 appearances with Oakland in 2011-12 and a 7.25 ERA with Triple-A Sacramento this year. Kottaras, 29, was designated for assignment Thursday, but it’s unlikely he’d be able to join the club until Monday, one possible reason the news is not yet official. It is unclear what the A’s plans are for Kottaras and the current catching duo of Kurt Suzuki and rookie Derek Norris, although initial indications were that Suzuki is not heading elsewhere before Tuesday’s trade deadline. That would point toward a possible demotion for Norris, giving Oakland two experienced catchers for the stretch run. Norris has been starting two games to every one for Suzuki, roughly, but he did endure an 0-for-30 streak recently. He is 4-for-14 since then. I don’t know, nor will I come close knowing, all the teams that will inquire about players currently on the Brewers roster. I will follow along the rumors on the internet as best I can from the people that make money to spend time chasing down leads. I will relay that information to you as quickly as I can. But from time to time I’ll also hear stuff on my own. I’m here right now to offer some of that. For example, the Angels have called on Greinke, but they also have talked to Milwaukee about Corey Hart and George Kottaras. Speaking of the Greek column, Kottaras has also had interest shown in him by the Mets and Indians. 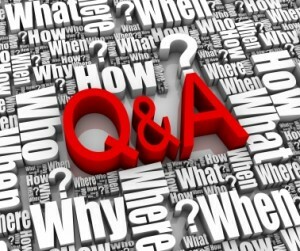 Probably others have inquired that I don’t know about, but I do know about them. Furthermore, the Orioles, Tigers, and Giants have all picked up the phone to check on the availability Hart. As for the Giants, it was reported that they asked about Francisco Rodriguez but I have a hard time imagining they’re still interested after the Phillies series. There were rumors that the Yankees might inquire about Aramis Ramirez but as far as as I could find out, that conversation hasn’t taken place. At least not yet. 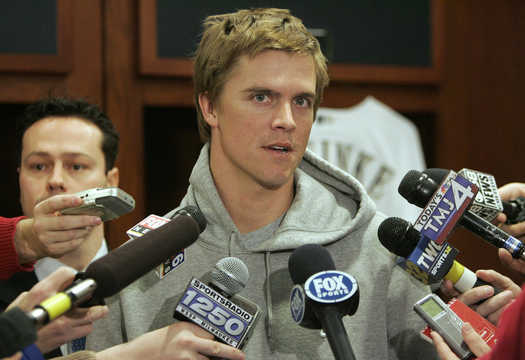 Zack Greinke, of course, is the hottest chip on the market for Milwaukee right now. He’s been linked to numerous suitors including one who kept Doug Melvin on the phone for “over an hour” trying to come up with creative offers. Nothing pending, at least as of a couple of hours ago, with them though. What’s that? 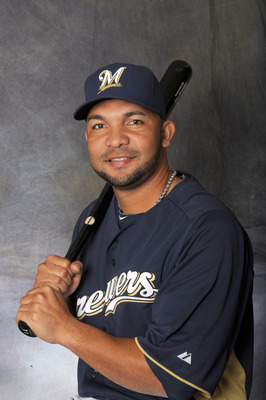 You want to know who bent the Brewers’ ear that long? Okay fine. It was the White Sox. Many people don’t feel that they have enough of a system to get a deal done straight up with Milwaukee but they are said to covet Greinke badly. And if there’s one thing Kenny Williams is, it’s creative. It’s been about a day and a half since the realization began to hit home that the 2012 edition of the Milwaukee Brewers are likely to fall short of their goal. In a publicly-declared critical nine-game stretch of games, the team went 4-5 and fell to a season-worst 10.5 games back in the division. The Brewers also sit 7.5 games back of the brand new second wild card as play opens today. After failing to make any kind of move forward, one must believe that the team will follow through on its unstated directive of working toward competing in the years hence. Doug Melvin made reference of the remarkable turnaround experienced by the World Series Champion St. Louis Cardinals last year when they came from over 10 games back in the Wild Card race to make the playoffs. Wisely, however, he also stated that it’s a different set of circumstances for the Brewers this year. Zack Greinke is a sought-after piece still, though many are waiting to see how he performs in his start in Philadelphia on Tuesday prior to coming near Doug Melvin’s current asking price. That asking price is an MLB-ready arm with less than 18 months of service time (so it doesn’t matter if he’s currently a minor-leaguer) along with a “high-end” prospect at either shortstop or first base. This lines up roughly to what I expected a return could net Milwaukee. I’ve long thought that a return in potential of what the Cleveland Indians got from the Brewers for CC Sabathia in 2008. Now that was a three-piece deal and featured a different position for the second-best piece, but the amount of talent could be similar. Moving on, there are plenty of other pieces that could provide value to other teams. The ones I’ve heard made mention of are Francisco Rodriguez (relatively light though interest could pick up significantly if he pitches well over the next week), George Kottaras (three teams), Corey Hart (four teams), Carlos Gomez (one team). Again, I’m not sure how willing Melvin is to move Corey Hart but it really does seem like doing so could net the team a decent return. I already have expressed my thoughts about packaging players together previously. It is interesting to note that one team crosses over on the lists of those that have expressed official interest in Hart and Kottaras. It’s also a bit discouraging that a couple of other names haven’t popped up on the radars of the people I talked to, but Shaun Marcum is still injured and Nyjer Morgan has greatly underachieved this year. I’ll stay on it though. I have been keeping up with the other rumors out there that are being reported. There is talk that if the Brewers decide to sell hard that the Dodgers would have interest in Aramis Ramirez (as mentioned by Tim Brown of Yahoo Sports). Ken Rosenthal put Randy Wolf’s name out there as someone that could be “in play”, though that choice of words doesn’t mean much to me because all it says is that it makes sense to move him but not that anybody has expressed interest. Finally, for now, the Brewers have actually been talking to two teams about maybe adding a bullpen arm, believe it or not. I would like to think though that those were due diligence conversations in case the team did well over the nine-game stretch which was just completed. Again, I’ll do my best to keep my ear to the ground and my finger on the pulse as things develop around the Brewers. Keep in mind though that I have a family and this baseball thing makes me no money so I can’t be on it constantly. If anything breaks though, I’ll be quick to analyze and give my opinion…but if you’ve followed along for a while you already know that giving opinion is not something foreign to me. Bottom line: Stay tuned. A lot should happen, a little might happen, and of course nothing could happen. 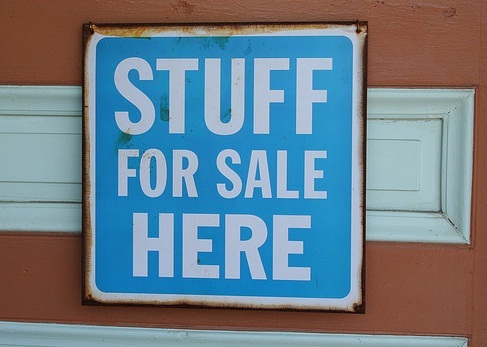 Selling with things to offer makes for a fun situation at times but also a stressful one. Let’s temper our expectations a bit if for no other reason than we will be able to more thoroughly enjoy what return we do get.